Dreaming about death isn’t the most pleasant experience you will encounter, however it does raise a lot of questions. The most obvious being; “Does dreaming about death mean I am going to die?” Quite simply… No! Dreaming about death thankfully won’t cause you to die, just like dreaming about winning the lottery, won’t suddenly make you rich! Dreaming about death can be an unpleasant occurrence which unfortunately most of us will experience in our lifetime, but what does a dream about death actually mean? Dreaming about your own death… If you have a dream about your own death, this could relate to a significant change in your life. You might be getting married, divorced, being promoted at work or moving country and dreaming about dying is just your subconscious mind telling you that a new beginning is on the horizon. In a sense, dying in your dreams relates to a new beginning in reality. Dreaming about someone you know dying… If you dream about an ex-partner dying, this may mean that you have finally come to terms with the relationship ending. The relationship is over and you are ready to start afresh with a new beginning. When you dream about a parent/parents dying, you are in a sense, discovering yourself. When you are growing up and finding your place in the world, you become less reliant on your parents and more independent which could be reflected in your dreams. However, this dream could also relate to the fact your parents need you more than ever before. They may be becoming older and frail and your responsibilities have changed. They are no longer looking after you; you are the one looking after them. Dreaming about the dead… When you dream about somebody who passed away a long time ago, this often indicates that you need to make a change in your life. This could be ending a relationship which has been struggling for a while, or changing your current situation at work. When you dream about somebody who has recently passed away, this could just be your way of coping. You are trying to understand their death, and you are not ready to say goodbye yet. By dreaming about somebody you have known and loved, your memory is trying to re-live the experiences that you had together while you sleep. Your dreams are often one of the only ways you can re-live that connection. 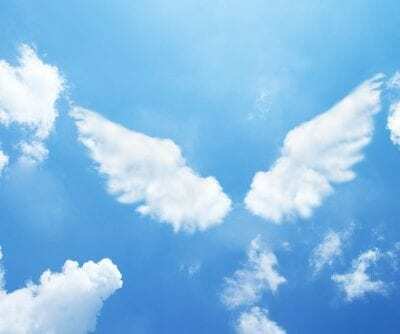 Regardless of who has died in your dreams, there is often a significant meaning behind them. Whether you find it’s time to make changes in your life or come to terms with losing somebody, these dreams occur for a reason and Psychic Light can help you to decipher their significance… Psychic Light readers including Sheila, Gill and Paula are all skilled in dream interpretation and can help you make sense of your dreams. On the other hand, if you want to connect to somebody who you have lost and dreamt about, why not call Psychic Light today. We have a number of professional mediums who can assist you in gaining closure.